Jennifer Smith began a daily yoga practice after spending a year recovering from a car accident that led to surgery and extensive physical rehabilitation. She has seen the transformational effects of yoga first hand and loves to share it with others. Jennifer is passionate about empowering her students to lift their limitations and reach their highest potential both on and off the mat. Her hope is that through yoga, you feel stronger, more centered, and most importantly, more connected. In September of 2012, Jennifer moved to the Brainerd Lakes Area after spending 7 years in Bethesda, Maryland. Shortly after, she opened Nisswa Yoga with Dani Sutin. Having grown up in Minnesota, Jennifer has lived and traveled around the world. 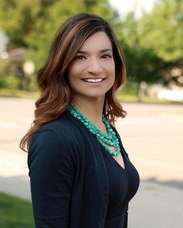 In addition to teaching yoga, Jennifer also works in the non-profit sector as the Executive Director of United Way of Crow Wing and Southern Cass Counties. She is the proud mother of Jackson, her 11-year-old son who often accompanies her to the yoga studio.